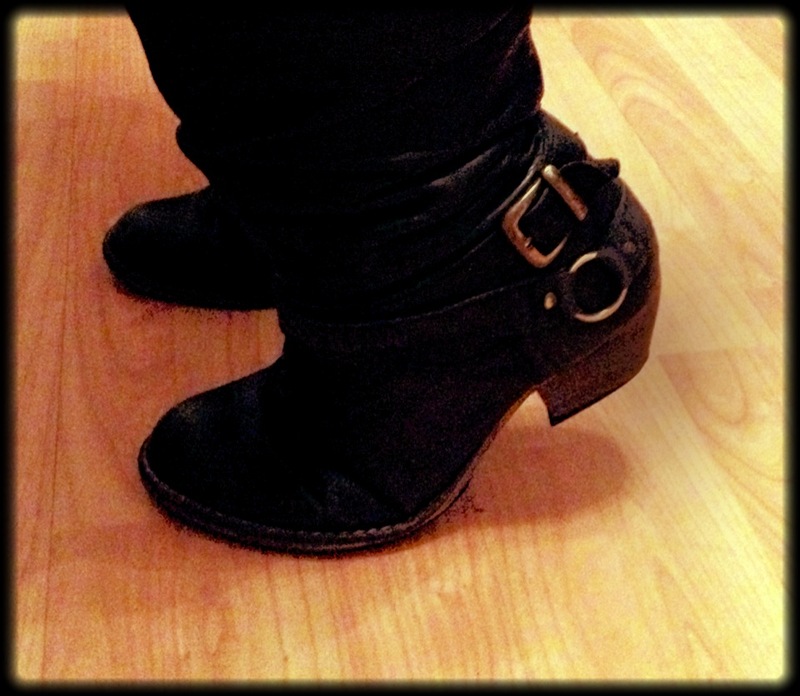 Right day 2 of my heel-wearing prep for Saturday night and I have been wearing modest 2 inch, wide heeled boots all day. But, do you know how to check if your heels are the right size for you? Well, try this nifty little trick when you’re next trying on shoes. If you can’t, then they are too high for you at the moment and you shouldn’t wear them. If you wear shoes that are too high for you you’ll damage yourself, your walk and probably your street cred! People who wear heels too high tend to walk with their knees bent forward – making them sore. It’s also important to remember to leave a bit of breathing room in your shoes just in case you need to add gel cushions for that important night out. Stand on your toes and raise your heels an inch off the floor to see if they are the correct height for you!